This might be the most astonishing, the most beautifully written memoir that I have ever read. 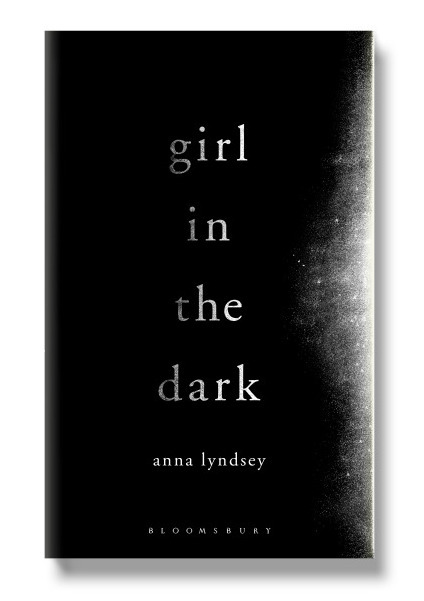 Anna Lyndsey was a civil servant when light began to affect her. What began as irritation when she worked in front of a computer screen grew into a condition where she had to live in darkness, in a room completely and utterly blacked out, wrapped in dense, heavy clothing, because even the faintest hint of light – natural or artificial – would cause her agonising pain. As her sensitivity increased she tried different things – an indoor job as a piano teacher, any number of therapies – but the progress of her condition was inexorable. And so you should take the title of this book very, very literally. It really is the story of a girl who lived in the dark. She skitters backwards and forwards thorough time because, writing about different aspects of her life in the dark, catching different moods and emotions. It’s very effective, and, though sometimes it’s dislocating, maybe that’s the point. There is gorgeous literary writing about what it is like to live without light, and about how that changed her perception of so many things. “I sit in the dark and listen to the storm. I hear the bitter clatter of rain against my walls, and the low book of the wind, a strange unsettling frequency that makes the bones in my skull vibrate. My ears exult in the glorious accumulating noise, my blood foams with the energy of the storm. The world outside is trying to reach me, roused from its usual indifference. It drags its claws along the bars of my cage. It puts its mouth to my wall, and roars. My body has learned to sit quietly in my room. It has learned not to scream or sob or writhe. But my spirit swirls lie the wind, surges lie the rain. The wildness outside calls to the wildness within. There is advice for how to manage life in the dark. Audiobooks would prove to be a lifeline, but music had to be approached with care because it could stir too many emotions. Word games – for one, or for two when her husband, friends or family were with her – provided both entertainment and mental exercise. And of course there are more basic and more fundamental points: how to find things in the dark; how to keep fit, how to, somehow, keep going. There are firm words for medics and local governments, caught up in bureaucracy, and lacking the flexibility that is so very necessary for dealing with extraordinary circumstances. The relationships, the support that they might have given came instead from the few others who were loving with similar conditions. And there are quietly appreciative words for her family and for friends who put themselves out to do whatever they can for her. “People make me tidy up my psyche, as one might order the magazines on the coffee table before a visitor arrives, and afterwards, for a while, they will stay that way, before entropy reasserts its hold. Above all this is one woman’s testament; it catches her memories, her hopes, her dreams, her fears; it catches the full range of her emotions, from the humour that she finds in many things to the suicidal impulses that she struggles to keep at bay. Her words feel honest, and her life – extraordinary though it is – feels real. She is wonderfully eloquent, and her story speaks profoundly about the human condition. Though there would be periods of remission – periods where she could, after her husband had prepared the house, venture downstairs; periods when she could even step outside the house at dusk – the dark would always pull her back. She would find no answers to questions about what caused her condition or to questions about what the future might hold. That was frightening, but it also allowed a little glimmer of hope into a blacked-out world. This is a wonderfully readable book; I found it hard to put down, and I know that it will stay in my head and in my heart. « Was that really February? Oh my goodness what an extraordinary and horrifying story, and how bravely and beautifully written it seems to be. It is indeed. I don’t often read contemporary memoirs, but this proved to be a very special book. This book also got a good review in the Sunday Times Culture section last week. I’m in the mood for memoir at the moment so I think I’ll read it. Thanks for your review. I spotted the introduction to that piece online, and there was a very good piece in The Guardian too. It really is an extraordinary piece of writing. This sounds so moving. Thank you for telling us about it. It is, and you are more than welcome, Audrey. Anna Lyndsey seems like an extraordinarily brave woman and I must say I love the words she wrote! Just beautiful! I will get this one! Thank You again for a great review and introducing us to something wonderfully unique! Yes, I think she is. I hope you are able to find a copy of the book. This does sound like a deeply affecting story – those quotes are piercing. It is. There are other mood, moments of humour even, in the book, but those were the two passages that really jumped out at me and I had to share them. Goodness me, this sounds like a difficult read with all the feelings of “how would I cope” that that brings up, but also fascinating. Where on earth did you hear about it? I didn’t find it difficult, because the writing pulled me in and held me in the moment. How she and her husband copes – how anyone would cope – I really don’t know thought. The book came from Bloomsbury and it’s had a certain amount of coverage, so I do hope it will find a good audience. I have a much, much milder – and easily managed – form of light sensitivity but I’ve never heard of anything quite this extreme before. Yes, this is a very powerful and very profound book. Judging by the quotes you selected, it must indeed be beautiful to read, but I’m not sure I could prevent myself from constantly thinking “that poor woman.” I can see where bureaucracy would make dealing with such an unusual condition even more difficult than it already is. The writing is so good, and the spirit of the writer so tangible, that I was captivated and was as impressed by how she and her family coped as well as feeling sorrow at her situation. It is though a book to read at the right moment. Yes, you must investigate – the whole book is extraordinary! I’m listening to this on Radio 4 at the moment and marvelling at the way in which she finds the strength to cope. Yes, the way she copes is marvellous. I hadn’t realised the book would be on Radio 4 so soon, but hopefully I can find it online. What a moving book this sounds, and what an extraordinary woman Anna Lyndsey must be to create a life for herself in the face of such a terrible condition, and to be able to write about it so lucidly. Yes, I think that book and its writer are all of those things, Christine. I heard about this book – it sounds a wonderful book to read, but my heart goes out to her – she (and her family and friends) sound amazing.